Bellevue Hilton – featuring special guest speaker Seahawks General Manager John Schneider! Camp Korey’s Prescription Laughter Luncheon is a time to come together to celebrate our mission – to empower campers and families experiencing serious medical conditions. 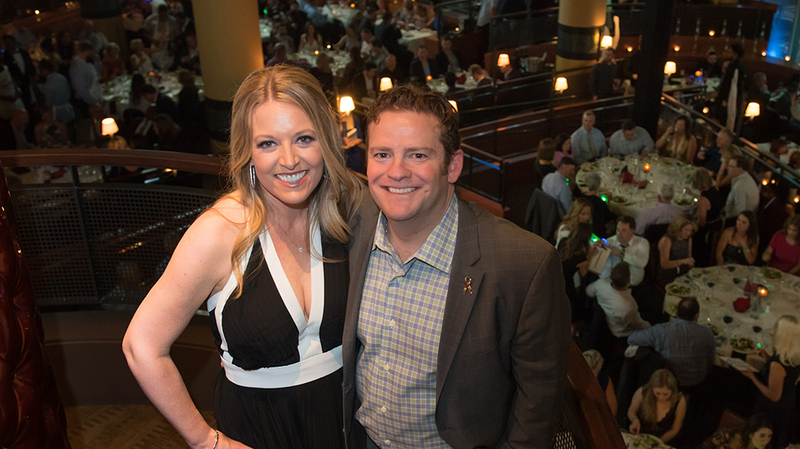 This year we are proud to welcome special guest speakers, Seattle Seahawks Executive Vice President and General Manager, John Schneider and his wife, Traci. Whether you are new to Camp Korey or a dedicated supporter, this hour will inspire you with powerful stories of joy, growth and healing. Our 9th Annual Bellevue luncheon will take place on Monday, February 13th, 2017 at the Hilton Bellevue. We hope you can join us at Prescription Laughter Luncheon! In 2012, John and Traci launched “Ben’s Fund” in partnership with Families for Effective Autism Treatment (FEAT) of Washington. Named after their oldest son who was diagnosed with autism when he was three years old, Ben’s Fund provides grants to families across Washington State to help cover costs associated with supporting a child on the autism spectrum. With the support of the Seahawks and community, they have raised more than $2 million dollars and provided over 900 grants to families in the state of Washington. Questions about Prescription Laughter Luncheon?